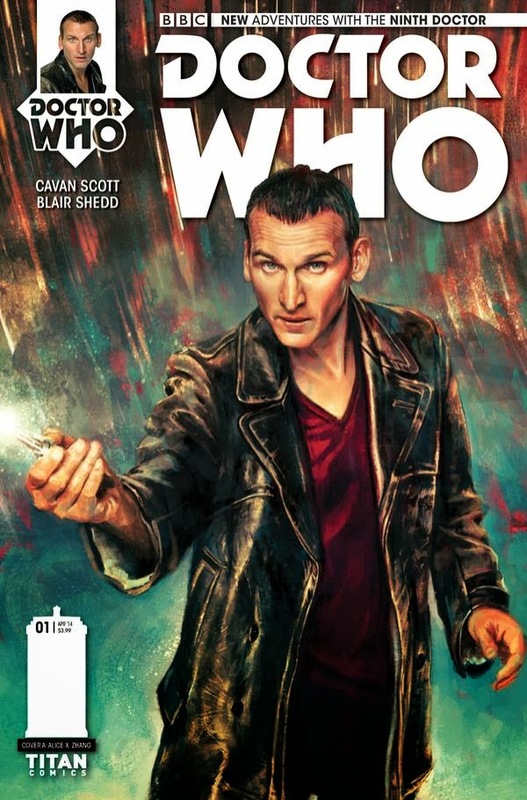 BRAND-NEW 5-PART MINI-SERIES STARRING THE NINTH DOCTOR AS PLAYED BY CHRISTOPHER ECCLESTON! WRITTEN BY THE CO-AUTHOR OF BESTSELLING ‘WHO-OLOGY’, CAVAN SCOTT! The Ninth Doctor is BACK with a brand-new miniseries: WEAPONS OF PAST DESTRUCTION! Leaving World War II behind, The Ninth Doctor, Rose and Captain Jack discover that Time Lord technology, lost in the wake of the Time War, is being sold on the intergalactic black market! Now the threat of a NEW temporal war brews on the horizon. Can the Doctor stop history repeating itself? Comes with four covers to collect including a brand-new painted cover by fan-favorite artist Alice X. Zhang! Spike TV Launches "Spike UK"
Season 6 is the End of "Downton Abbey"
Black Mask Studios Announces "Space Riders #1"
The Academy Explores Oscar-Winning "Big Hero 6"
Dark Circle Comics Announces "The Hangman"
A First Look at Archie Comics' "ARCHIE #665"